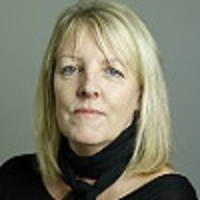 Alison Angus is Head of Lifestyles at Euromonitor International, a global strategic market intelligence company. Alison heads up the lifestyles and megatrends research focused on understanding consumer behavior, attitudes and shifting trends, interpreting these into informative and useful insights to support business and its strategy planning. Alison has worked in research for 20 years, covering a wide range of industries including FMCG such as food, drink and beauty and apparel, to home entertainment and electronics, as well as service sectors including manufacturing, consumer finance and retailing. She brings extensive knowledge and expertise on research and analysis techniques and methodologies, managing projects, and producing informative and insightful analysis.